How to customize Qstomizer using CSS. 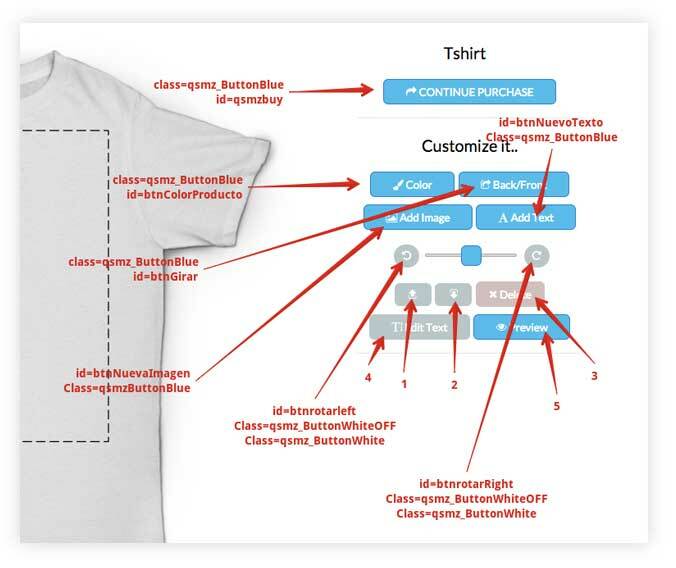 You can apply CSS rules to the designer. 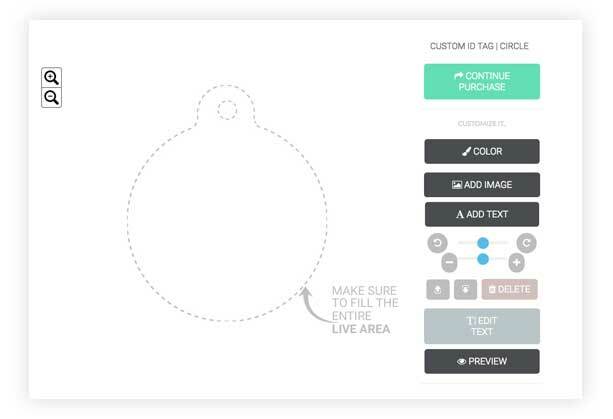 In this way you can change the color of the buttons, fonts, colors, etc and also remove buttons and options. To do so, you can add CCS rules in the backend of the tool and they will be applied in the storefront. 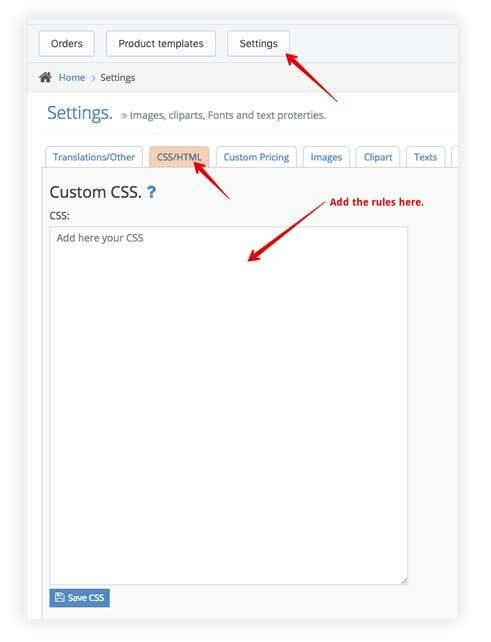 To add the rules, go to Settings > "CSS/HTML" tab and add the rules in the CSS field. Notice that you can also change the text on the buttons, messages, etc.. by using the translation tool.